The traditional expertise of the master glassmakers and lace makers, combined with the characteristic atmosphere of two of the lagoon's magnificent islands. 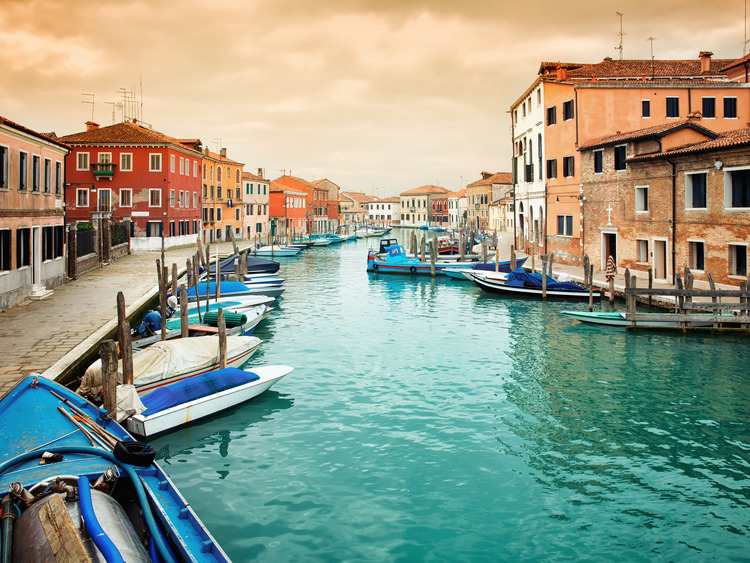 We board a boat to begin our exploration of two of the most famous islands on the lagoon: Murano and Burano. After around 50 minutes' sailing time we reach the island of Murano, known for its ancient glassmaking traditions. Here we have the opportunity to visit a typical glass workshop and observe the traditional craftsmanship of a master glassmaker at work. Next we head by boat to Burano, the picturesque centre famous for its traditional lace work. Here we have some free time to admire the colourful village, take unforgettable photos, take a pleasant to walk through the peaceful streets and purchase locally produced craft items. On our return journey we stop at St. Mark's Square to allow those wishing to disembark from the boat and return to the ship independently to do so. The excursion is available both to guests in transit and to guests with flights, trains or transfers from Venice after 5.25 p.m. Guests not disembarking in Venice are advised to refer to "Diario di Bordo" for the time at which you must be back on the ship. More details on disembarking instructions, baggage recognition and transfer times are communicated via an informative letter delivered to your cabin. Costa Cruises offers all excursion participants a luggage deposit situated at the Cruise Terminal where luggage may be deposited and collected until 5 p.m.
On 17 July, the day of the Redentore Festival, excursions are not possible for guests disembarking, but only to guests in transit.